soggy puppy | pressie in the post | red lips | thank you! I am exhausted. I need a weekend where I actually have my lie ins but not going to happen anytime soon! I had a bit of a crappy week last week if I'm honest. Little things helped to cheer me up like my soggy puppy and splashing him in the paddling pool, and lovely gifts from Montagne Jeunesse, reaching 10,000 views on here and also receiving Pickles, my new work mascot - definitely needed at work! Also, me and the boy finally booked to go to Dublin for four days in September - can't wait! It's going to be so nice just to go away with him and relax. We also booked to go to the Harry Potter Tour in the same week. As you know I have already been, but he is a bigger fan then me and was very jealous when I went so I promised I'd take him! The weekend was so good though. On Friday we went to me friends pub to send the boys brother off as he's moving to Madrid for a year (totally jealous). Drank far too much but was a fantastic evening! Then early Saturday morning the boy and I travelled up to Cardiff to visit my brother and Hanah for a belated birthday weekend. We did shopping (opps) and lots of drinking! Again... I got to see my gorgeous niece Willow though, isn't she perdy! This weekend won't give me much time to rest I have to say as I'm off to London to see the swimming finals of the Olympics - could not be MORE excited! Hello half naked hunks! One of my cousins recently got married, the first of all of I might add! 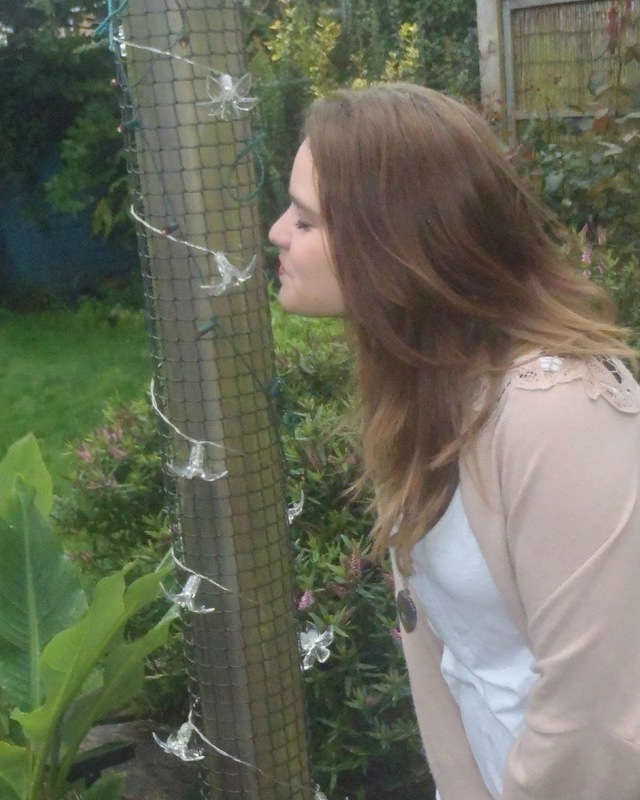 It was a really really lovely day. They church was so pretty, and although I personally won't be getting married in a church (nothing wrong with it, just not for me), it was a gorgeous church and a lovely ceremony. The reception was help in a marquee with draped ceilings and chandeliers, which I loved. I don't get to see my cousins a lot so it was really nice to see them, catch up and spend the day with family! This was my wedding outfit. I first heard about this dress from my friend Amber who said "Oh my god, I saw this gorgeous maxi dress in a magazine and it has your name on it, it's blue with butterflies! ", so I went on a hunt because let's face it - blue and butterflies is o so me. I found it on the Dorothy Perkins site and fell in love, instantly, and my lovely Mummy bought it for me for the wedding. Now, as you can see it isn't blue. I got home and my Mum went "your dress is upstairs" so I raced upstairs and my first reaction was WHAT IT'S GREEN! I don't have a lot of green. 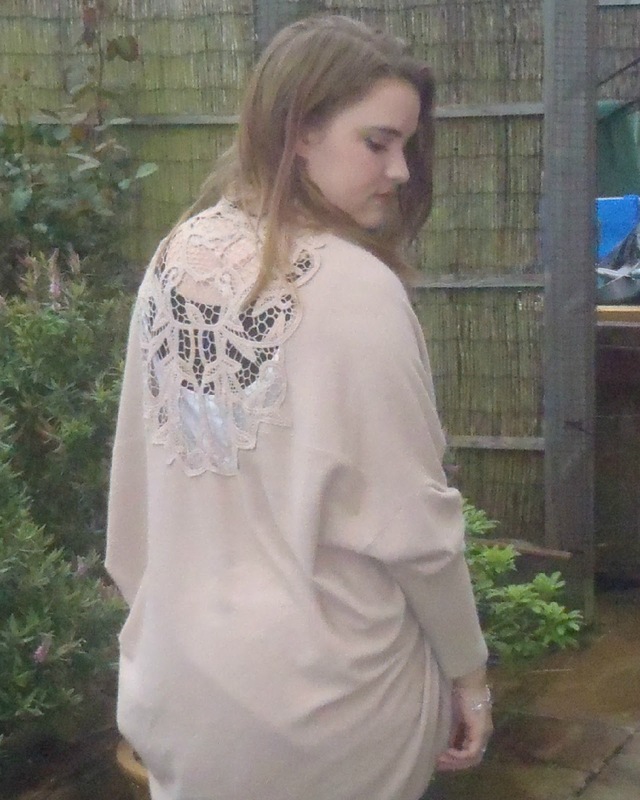 However, after trying it on I realised how perfect it was. The colour compliments me so well and the silhouette is so flattering. And let's not forget the butterflies. I would like to say that on the website it does look blue - honestly! I went and double checked, but the description on the website does say Mint Green. Note to self: read the descriptions! On hindsight I'm so glad it was green. It's so completely un-Lisa it's perfect. I wasn't sure about the black edging at first, but now I think it just adds to its beauty. It adds a bit of an edge to it so it's not just floaty pretty. I'm so glad I wore this to the wedding. I was planning on my waterfall dress seen here, however about 80% of the female guests were in waterfall dresses - so quite glad I decided not to! 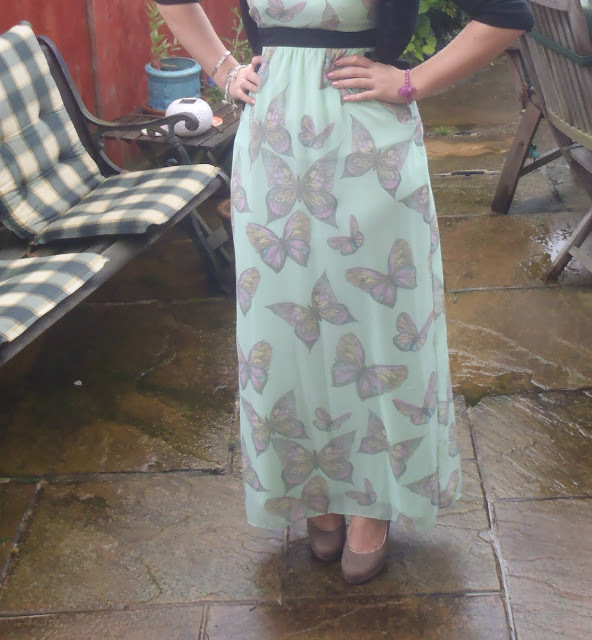 It was perfect as it wasn't the warmed/sunniest of days so a maxi kept me warm, and yet didn't overheat me on the dance floor! What do you think of the colour? Would you wear this to a wedding? I seem to have gone from not really caring about putting anything on my lips to being near obsessed. I blame all of you! So this is my latest lip crush. I love Revlon's Lip Butters and I've had my eye on Just Bitten for a little while, but thought I'd wait a little while. Then Boots had a special deal, only £5.99 instead of £7.99, and my self restraint (cough cough) disappeared. Oppsy bought it! After swatching all the testers I settled on Honey. It's a deeper pink with natural undertones. Once on it's like your lips but better. I love it for that. It applies ridiculously easily, however unlike the butters you do need a mirror for application otherwise it can end up everywhere. It feels really smooth and silky when applying and leaves my lips feeling moisturized. It smells of peppermint as well - yum! It took me a while to figure out the smell, I had everyone at Amber's BBQ smelling it to find out (no jokes) and success, peppermint! Or spearmint, can't decide which. It lasts quite long as well. When it's first applied it has a balmy sheen to it, this fades in about an hour but the colour stays behind. It is described as a balm stain and it is exactly that. It feels like a lip balm and it acts like a lip balm. I have fallen a tad in love with this product. It has become an everyday staple for me now (sorry Caresse and Lip Butters). I must learn to mix my look up! But I would definitely recommend this. I can't wait to try some more shades! A lot of people are comparing these to the Clinique Chubby Sticks, I personally haven't tried one but if they are as good as these fantastic - but for half the price I think I'll stick with my Revlon thank you! Have you tried Chubby Stick or Just Bitten? What shades are you loving? I love these types of posts. I know a few people have slated them but I love to see what bloggers get up to, maybe cause I'm nosey who knows! I had been waiting for my phone upgrade so I could get instragram to do this as I have a Blackberry (boo! ), but I got impatient so I thought I'd show you some pics for the last couple of weeks of my life! These have been from the past couple of weeks. They have been a bit hectic and trust me, life isn't slowing down! 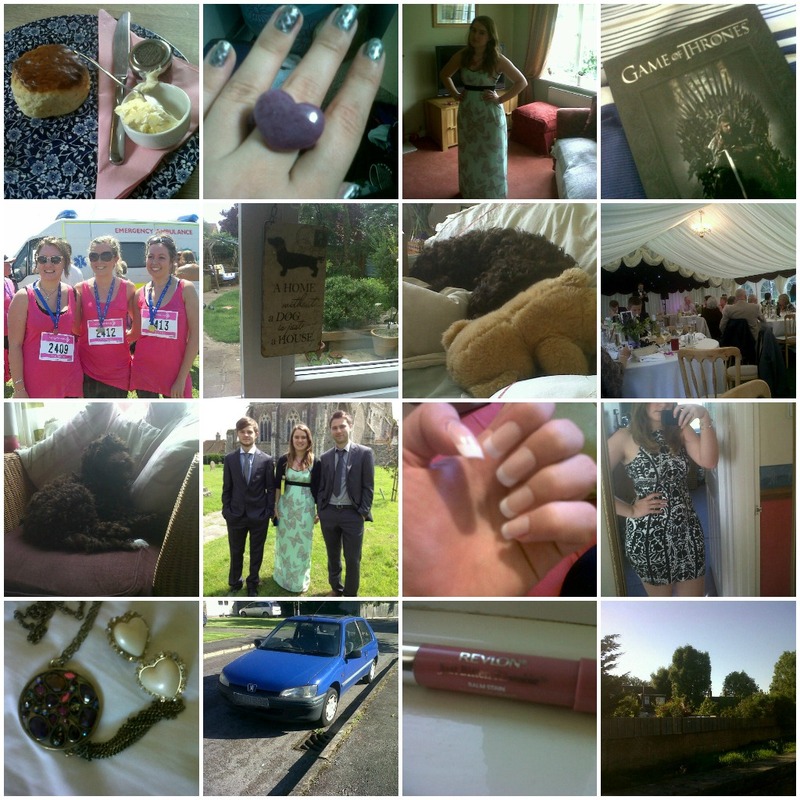 In the past couple of weeks I've been working full time (boo) but have also had my cousins beautiful wedding and I also took part in the Race for Life on Sunday - my legs are STILL aching! So glad to finally see the sun, really nice to walk to work in it I have to say and I hope it stays for the weekend! This week I have a lot going on so will be loads of photos, me and the boy have just booked the Harry Potter tour for our week off in September, and we'll be booking Dublin this week too. We're also off to Cardiff this weekend to see my brother and Hanah, and on Friday we have the boy's brothers leaving party as he is off to Madrid for a year (jealous much!?). So I'm sure you'll get to see all that! How is life with you? Do you like these kinda posts? 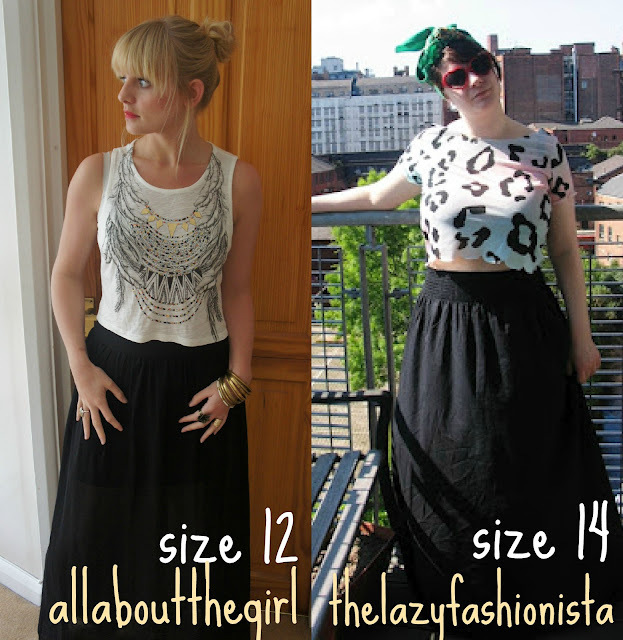 This weeks Any Size post is about a favourite of mine - Maxi Skirts! I recently purchased my first one and fell completely in love! Much the same as this weeks bloggers featured. Georgina: I love this kinda style for me! It means I can keep my legs warm but still keep my twist on a long skirt. I never wear a full length top with a long skirt as I think it's too much material! Me: I'm a maxi dress lover, so a skirt wasn't far behind! It's so comfortable to wear, especially in the summer for a bbq and be dressed up and down so easily! Here I've teamed it with a plain vest and jacket, but also works well with prints. 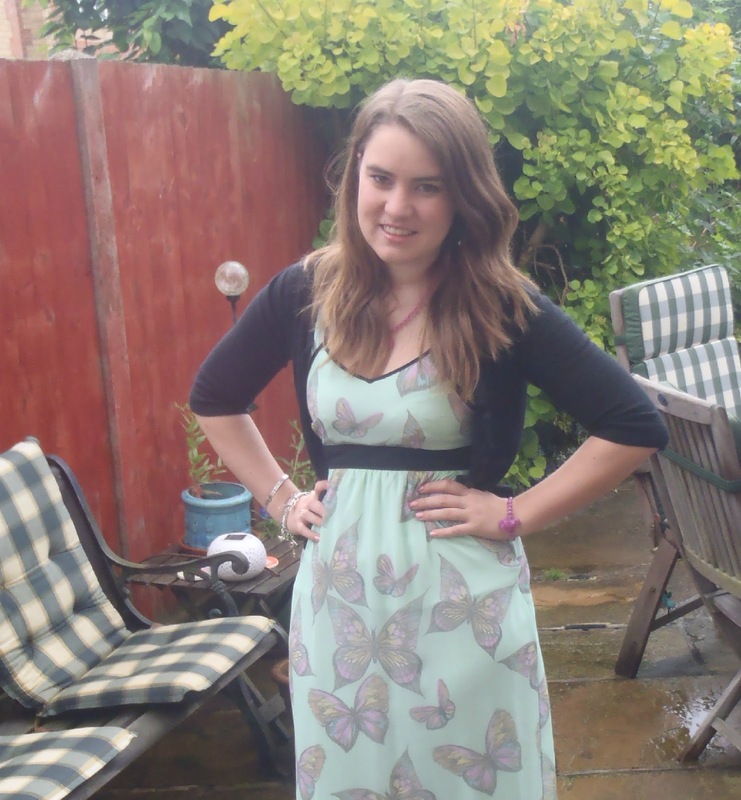 Caroline: I'm a maxi convert, this is the first one I've owned and I'm on the hunt for more! 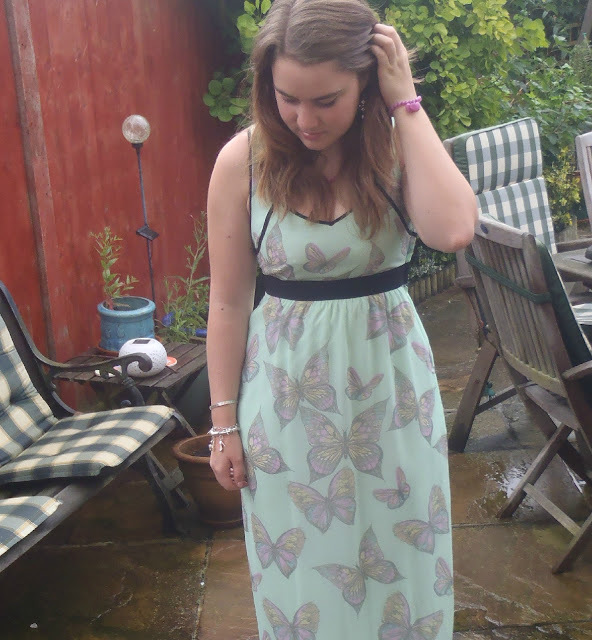 I really dislike my legs so the maxi is perfect for me. I still feel really feminine but I'm covering the part of my body I hate the most. Becca: A high-waisted maxi skirt with a cheeky crop top was perfect for the ten seconds of sun we got in July! I find the high waist makes the crop top look workable for my size, just giving a cheeky flesh flash! Thank you to my lovely bloggers again! 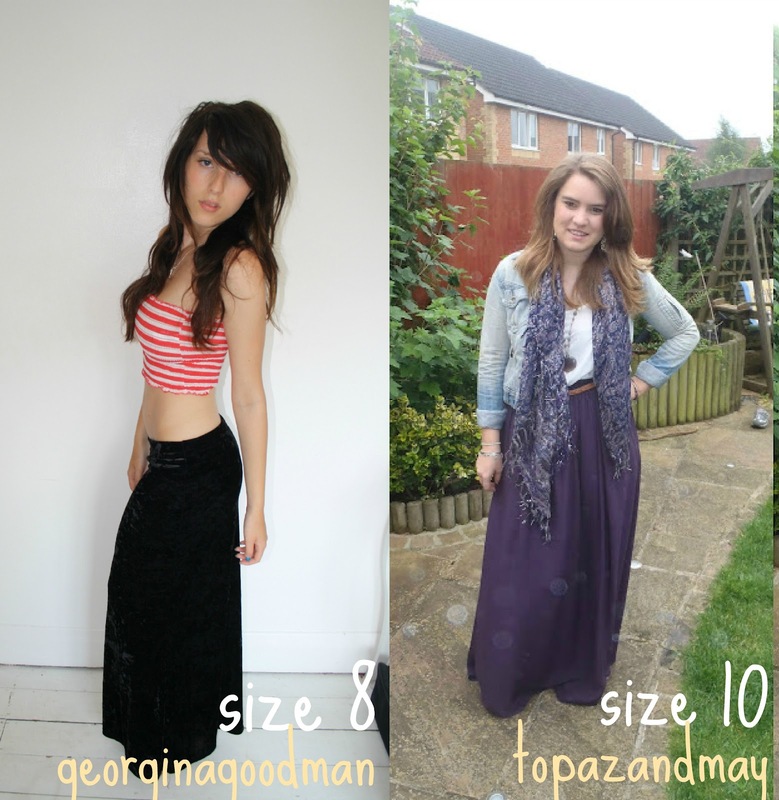 I think you all look fab and are definitely working the maxi skirt! You can find their blog links above! Keep an eye out for next weeks! How would you style your maxi skirt? So, as a testament to those on the shortlist for the Cosmopolitan I'm doing a special Follow Friday for those I'm voting for! I'm loving so many of the blogs this year and I love that some of my favourites are in nearly every category! 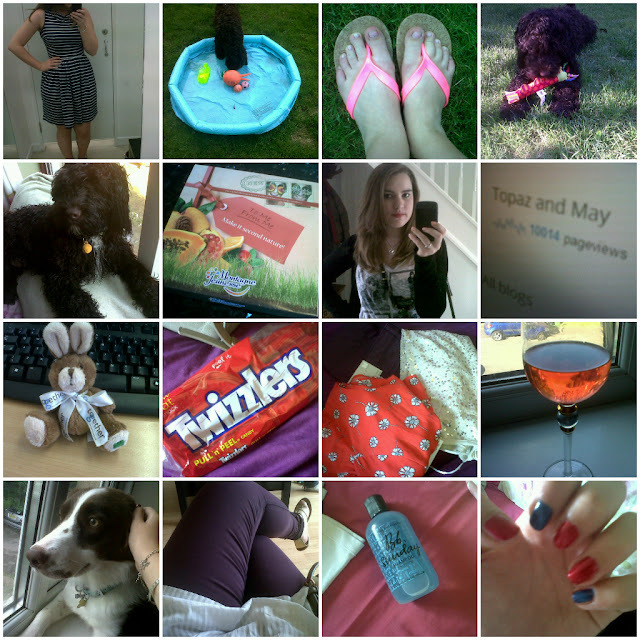 Check out my favourites below, visit them and enjoy! This category was so easy for me. 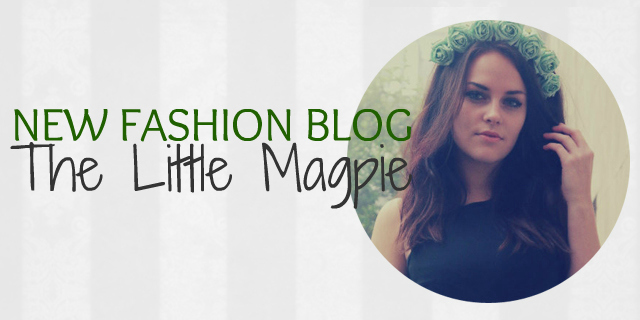 I have a total girl crush on Amy from The Little Magpie. She has such a unique sense of style, she is really brave with a lot of her outfits and has a definite addiction to floral crowns! 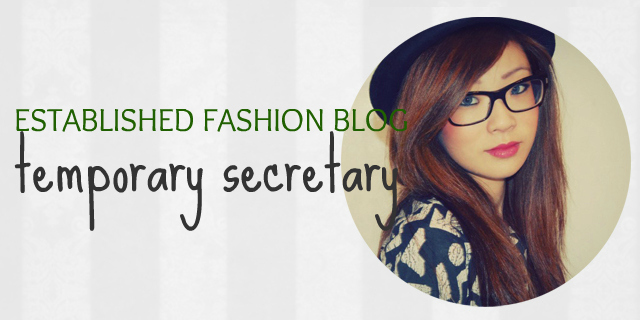 Check out her blog here and I would urge you to vote for her as she's fab! This is such a tough category as I love Llymrls, but Kat from jemima and ted got me into blogging, she's the first blog I read most days and I honest think its a fab blog. She's become such a good friend as well, her posts are always honest and so nice to see a bit of an underdog in the running. 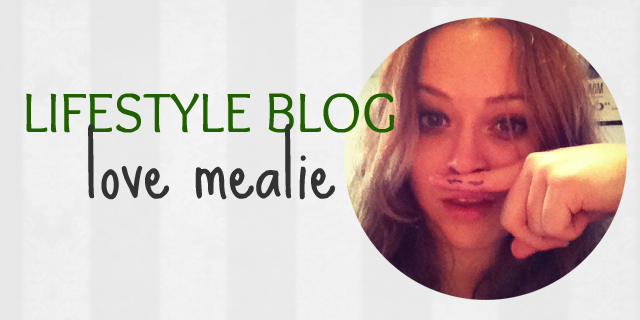 Please check her blog out here and go and vote - go go go! Again another tough category, but Belles Boutique was one of my first regular reads and its a blog I really aspire to be like. 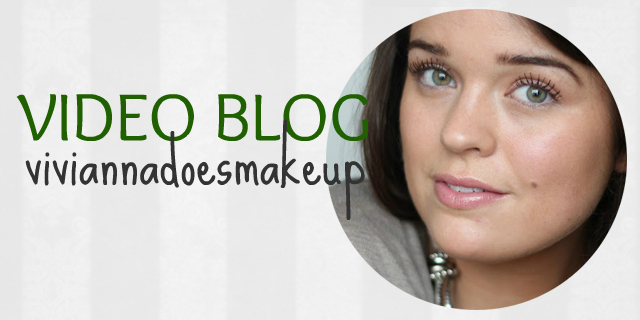 I love Laura's What I Wore posts of her make up (I want her make up collection!) 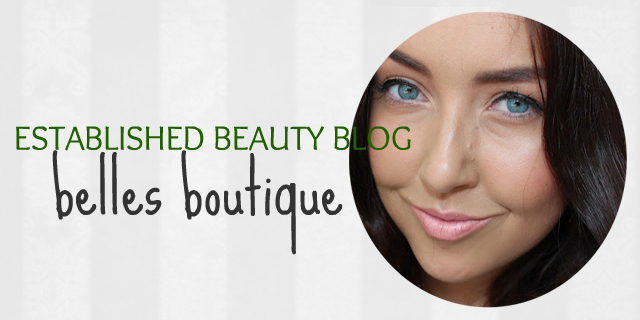 and I love that her blog is attainable, its drug store mixed with high end which I love. If you haven't already seen it go check it out here, I promise you won't regret it! 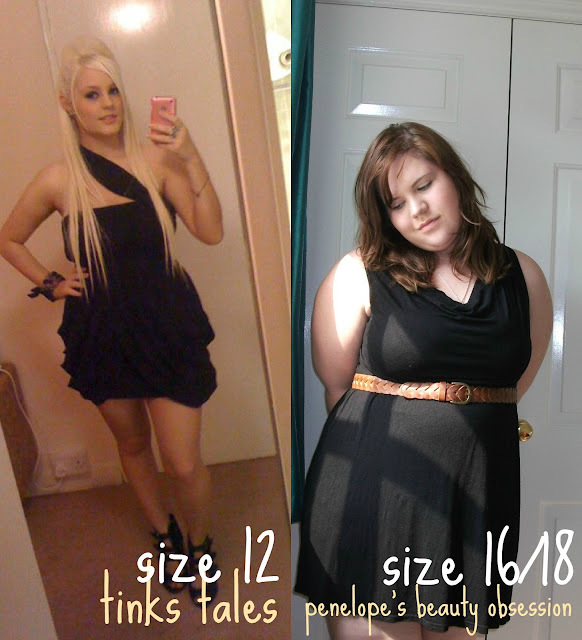 I love this blog for a variety of reasons including her hair, figure, life in general - I want it all! What I do love about it is Rose's recipes - if you haven't checked it out please do, just for her Slutty Brownie recipe alone that I have still to attempt - so many yummy suggestions! Go have a peek and I promise you'll be addicted to Rose's life, click here ! Probably a top 5 blog for me. 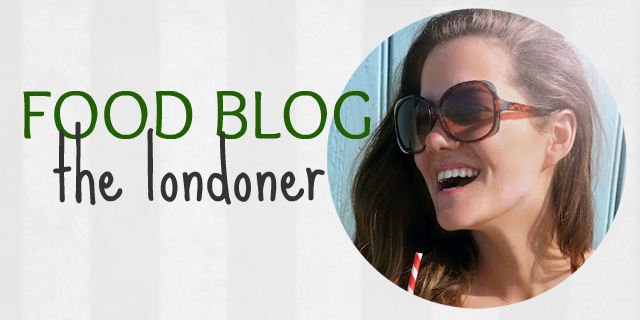 I LOVE her blog an videos, I'm often trying to sneakily watch her videos at work in silence...! I want every product she reviews, it's bad for my purse and I blame her for all the beauty products on my wish list! Go check her blog out here and her youtube channel here, I would definitely recommend it, you'll never look back! I want to say a big CONGRATS to ALL blogs on the Cosmo shortlist, such an achievement you should all be really happy! Am very jealous, but so happy for you all! You can vote here for your favourite blogs and definitely check out the above beauties! Who are you voting for? Do you love any of the ones above? 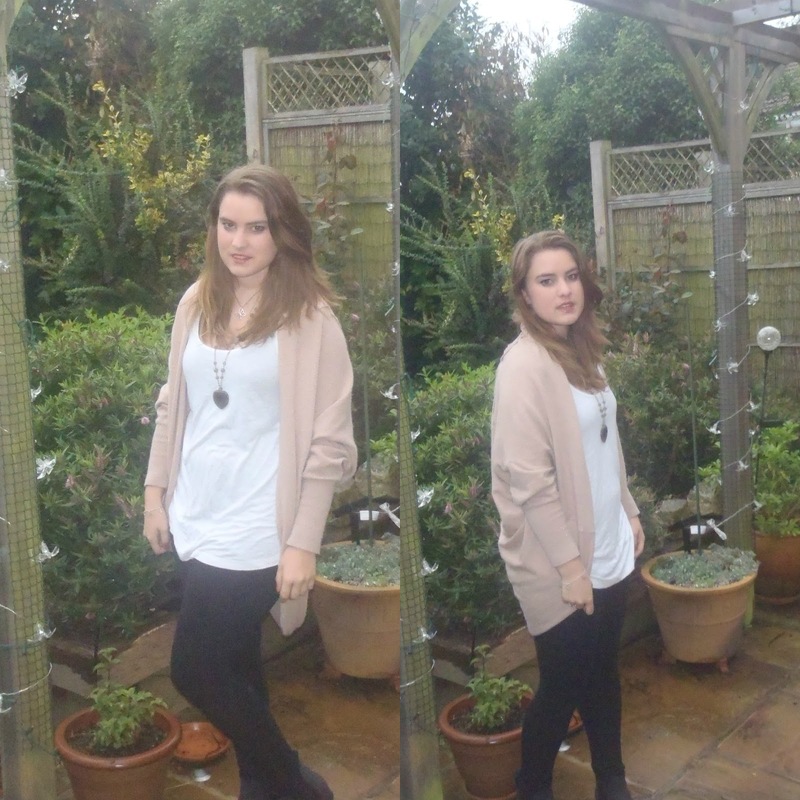 So this is just a very easy, slouchy outfit I threw on last night before going to the cinema and decided I loved it quite a lot. Such a simple outfit and yet I think looks quite stylish, I blame the cardigan for it. 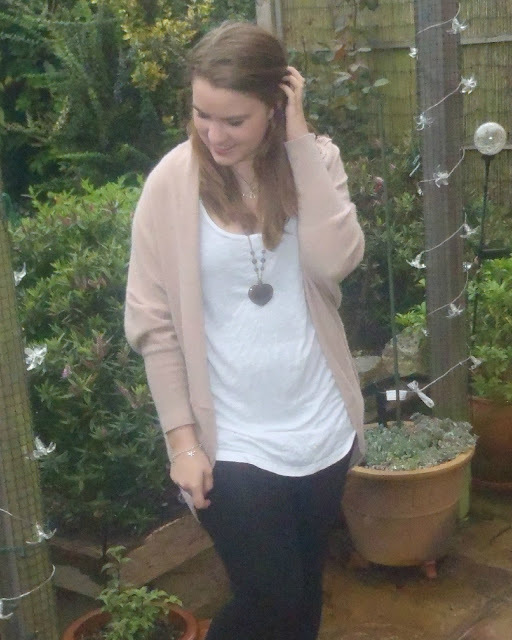 I do like my baggy, slouchy clothing. When I was a teeny size 8 i definitely went for tight stuff, but now I'm a little bigger (thanks uni) I can't always get away with it, and I find my baggy stuff so much comfier. As you can see I've still managed to incorporate some of my favourite aspects into an outfit - lace and Lola Rose, as well as my new favourite H&M boots on (hi £15 in the sale) which are one of my best buys ever - I've only had them about a month and I haven't stopped wearing them. Although Arthur does like to run off with them in his mouth, so guessing he likes them too! These nails are totally different for me. I got this bright orange coloured Misguided nail varnish free with Cosmo (?) this month, I deliberately searched for the orange as its totally different for me. This is three coats worth with one coat of Barry M glitter on the top and I love it, just think it's so summery (hint to weather) and so different yay! So not much happening in life at the moment, just the usual stuff! Had my cousins wedding last weekend which was lovely and I'll pop the outfit on in a couple days. 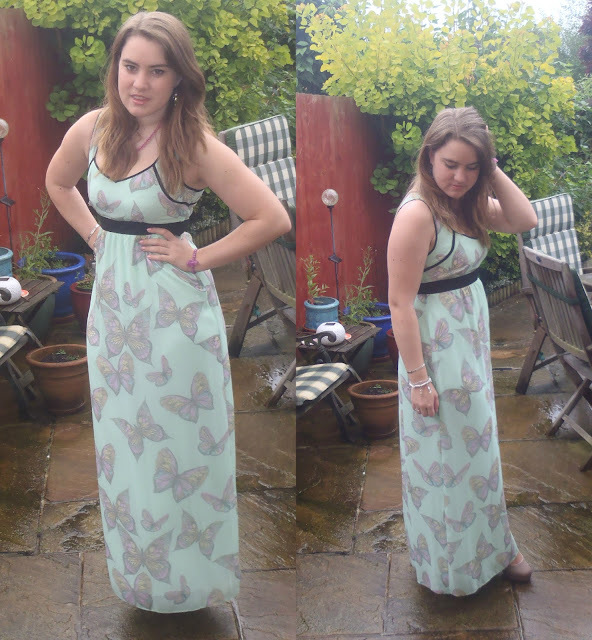 I wore my gorgeous new Dorothy Perkins Maxi and I can't wait to show it off. I'm also off to do the Race for Life this weekend eek! Haven't done any training which is bad but definitely going to give it a go! I'm doing it with Amber and Andra dressed as fairies (we are the Giggle Fairies) and we're running in memory of Amber's Nan :) we've raised quite a bit so far so am so proud and hope the weather holds out ! Wish me luck! What's your slouchy 'summer' outfit? Wish me luck for Race for Life? I always hear amazing things about Origins so I'm always happy when I get one of their products through the door. I bought this product after browsing their blemish and oil control section on their website. After hearing great things about their drink it up mask I thought I'd treat myself to this. I was looking to buy their Drink It Up mask, but my main skin concern at the moment is my oily completion and my spots seem to be running riot on my face, and none of my usual tricks seem to be working. So I took a chance with this. The first time I used this I have to say I felt so disappointed. Face clear of make up and I popped it on and after a couple minutes it felt like my face was burning. I stayed with it and after another 5 minutes I had to take it off. My face was slightly pink and it didn't seem to do anything. But I thought no, I will try again and I'm so glad I did. So again, face clear of make up I popped the mask on, however I didn't put it on so thickly this time. Thankfully no burning sensation this time and after the full 10 minutes I took this off with a warm flannel and no pink skin (yay!). 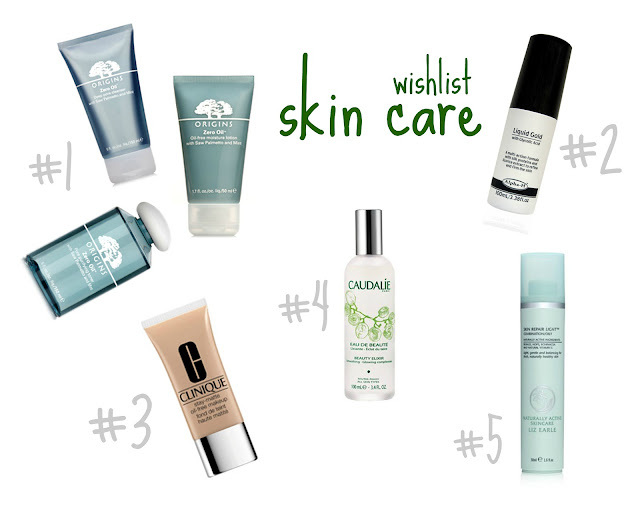 My skin looked clearer and to begin with I didn't see any significant difference with my skin. However fast forward one sleep and what a difference. I woke up to the softest skin I think I have ever had. I don't know if this is down to the mask or Origins Zero Oil lotion (I got a free sample with this purchase), but either way - loved how my skin felt. Not only that, but the redness around my spots was significantly reduced. I've used this a couple of times now and I'm noticing a difference with my skin so I couldn't be happier. Money well spent and I will definitely be buying the Zero Oil Lotion when my sample runs out as well. Have you tried Origins masks? Which would you recommend? 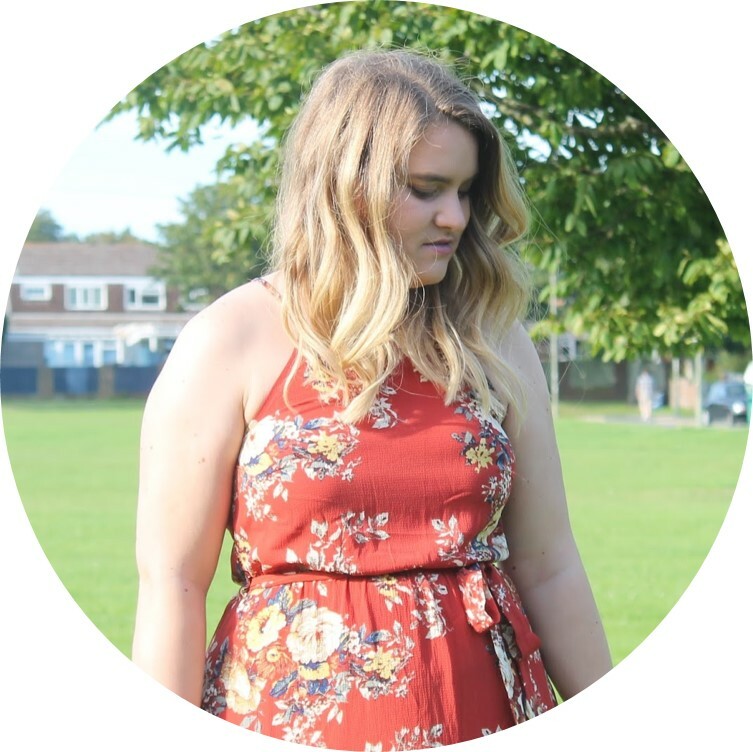 I've wanted to do a proper series of posts with other bloggers for a while now and I thought that this would be perfect. Simply put, every week four bloggers of four different sizes (8, 10, 12, 14) will take one style and style it how they feel suits their sizes. I think this is such a great thing to put out that no matter what size you are, you can still be fashionable and look gorgeous. So, for my first week I chose 'Peplum' as it seems to be making its way around the fashion world at the moment, plus I love my newest peplum purchase so was the perfect excuse. So without further ado - here are my gorgeous fellow 'Any Size' bloggers for this week! 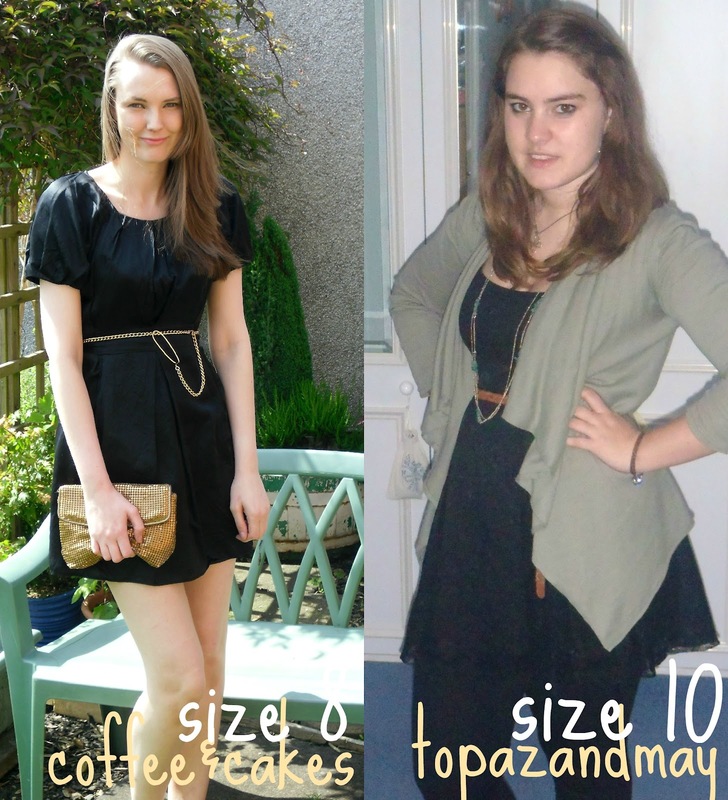 Lizee: "I have fairly boney hips and so the Peplum dress helps to pad me out a bit! I think that Peplum is ideal for any girl that would like to give themself a few curves, especially a dress like this that is also bodycon"
Me: "I love the shape this top gives me. 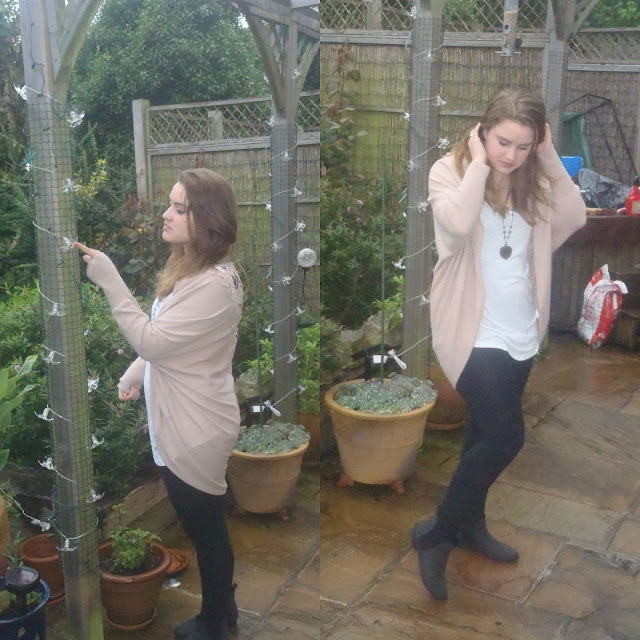 I was a little worried it would make my hips look bigger but no, it helps to make even the simplest outfits look chic. 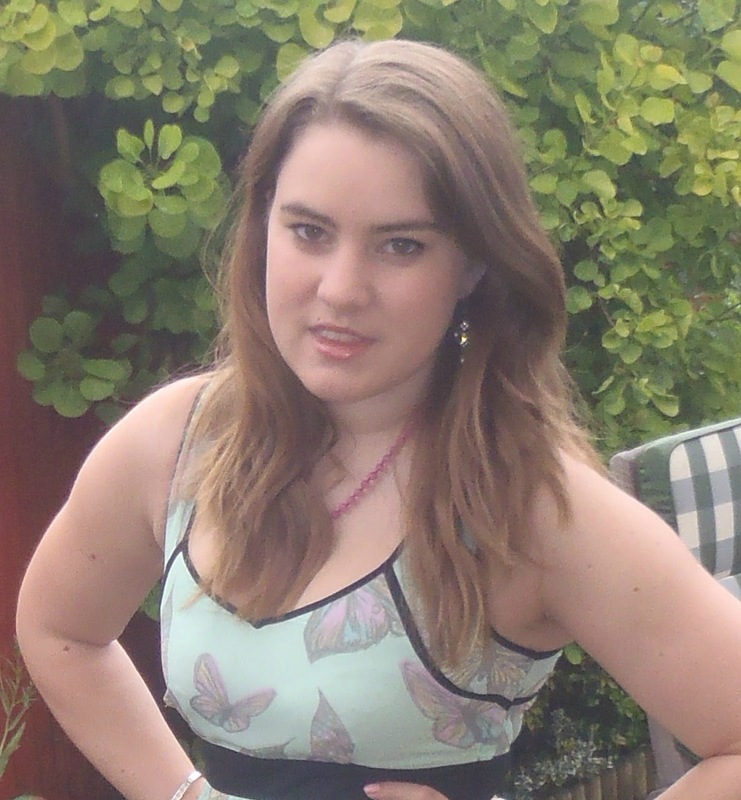 I usually team it with jeans but thought I'd go smart with some floral shorts"
Kat: 'I'd ummed and ahhed about buying a peplum top because I sometimes wonder if they can accentuate your chest and hips, however this one was quite flattering and not too clingy. I like to wear it quite casually but you could easily dress it up with heels"
Sera: "went for a classic retro style, keeping the dress the main focus of the outfit and going out on accessories. As far as accessories are concerned I don't like to heap a whole load on, some cleverly picked and placed accessories really pull together an outfit. 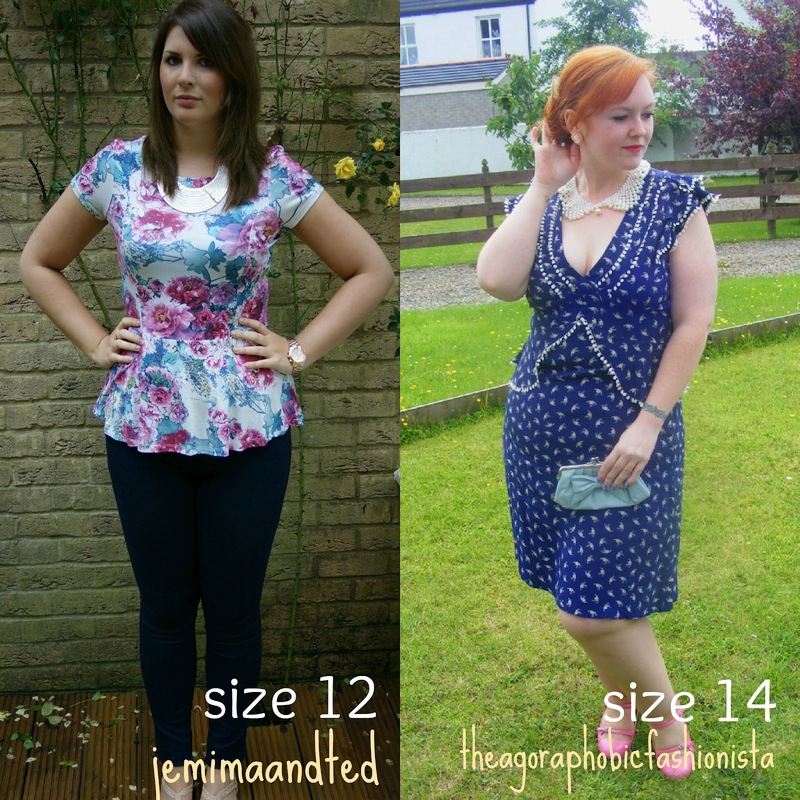 I love vintage feel clothes and peplum styles really tick my boxes!" I wanna say a HUGE thanks to Lizee, Kat and Sera for helping out with this post. 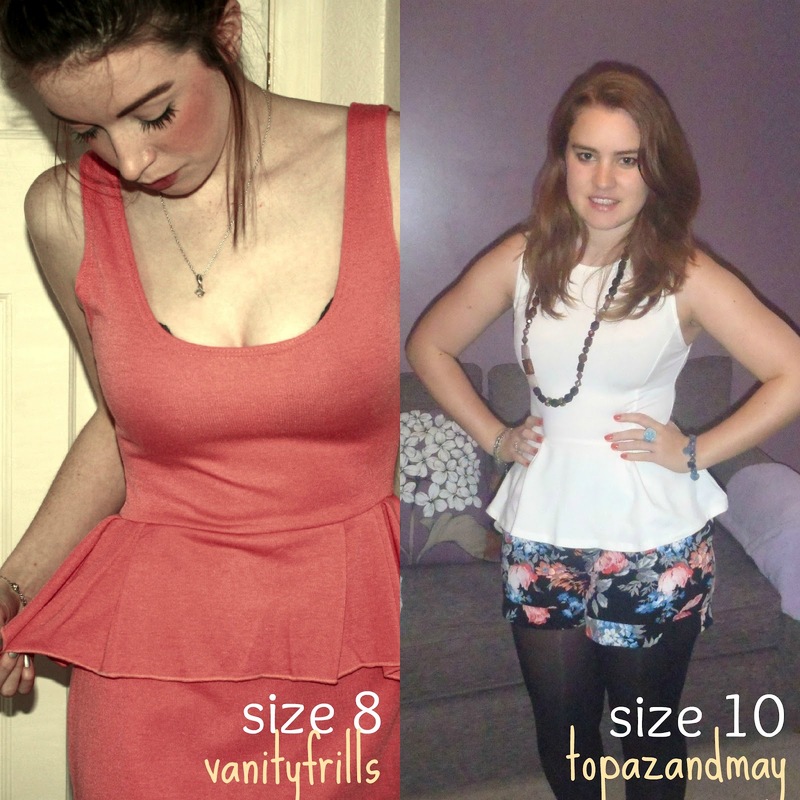 I love all the outfits and would suggest you go and check out their amazing blogs as well. What do you think of this feature? How would you style pelpum? I've been umming and aahing about buying this since it came out. After a million great reviews I decided to give in, and then when I saw Boots had a little travel version I knew this was the perfect first way to buy it. I usually buy mini mascaras if I can, or the sample ones as I travel to and from the boys a lot so it's so much easier then transporting a full size mascara. Anywho, so I bought it hoping it'd live up to all the blogger hype and my god does it. Am a bit in love with this mascara. Not only does it lengthen and curl, it seperates as well and doesn't clump. 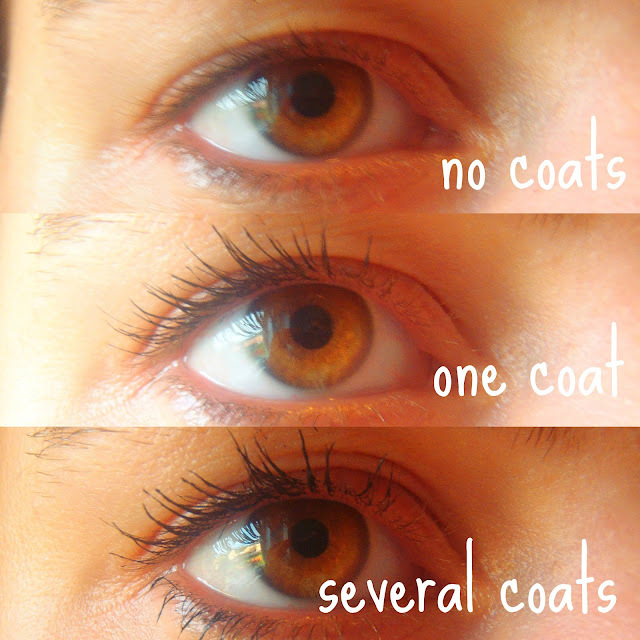 It really does work in a way that your lashes can still look natural. 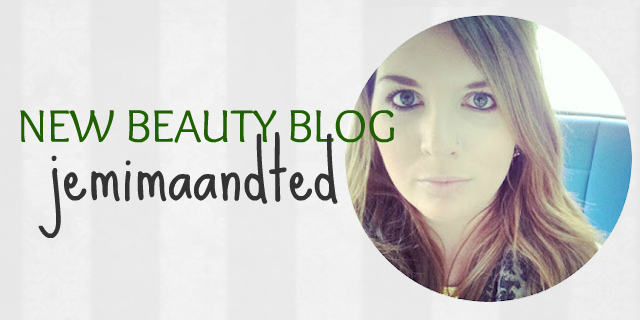 What other Benefit products can't you live without? Now, leading up to my graduation I went out with some friends and got a bit drunk, as you do. Whilst drunk I decided running in heels, up a curb, would be a fantastic idea. I fell, danced on an injured ankle all night and woke up to a golf ball on the side of it. O dear. Off to the hospital I limped and turned out it was sprained, but was told NO HEELS for my graduation. To say I was mortified is a little bit of an understatement. 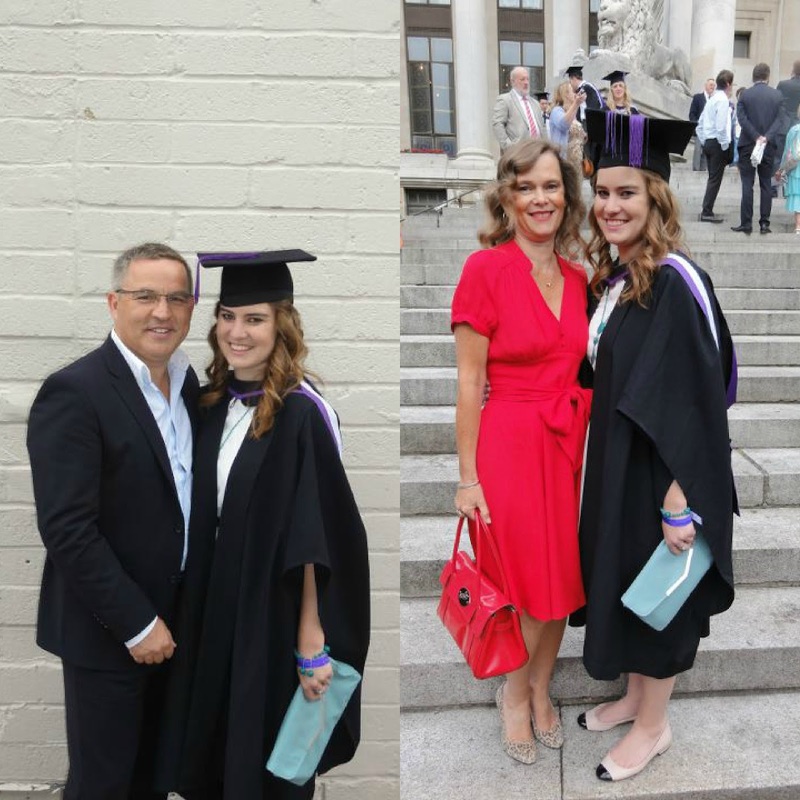 Especially when my Mum made me wear trainers and a bandage on it all day, though I drew the line at walking across the stage in them and photos in them so I popped my trusty Prada pumps on instead. 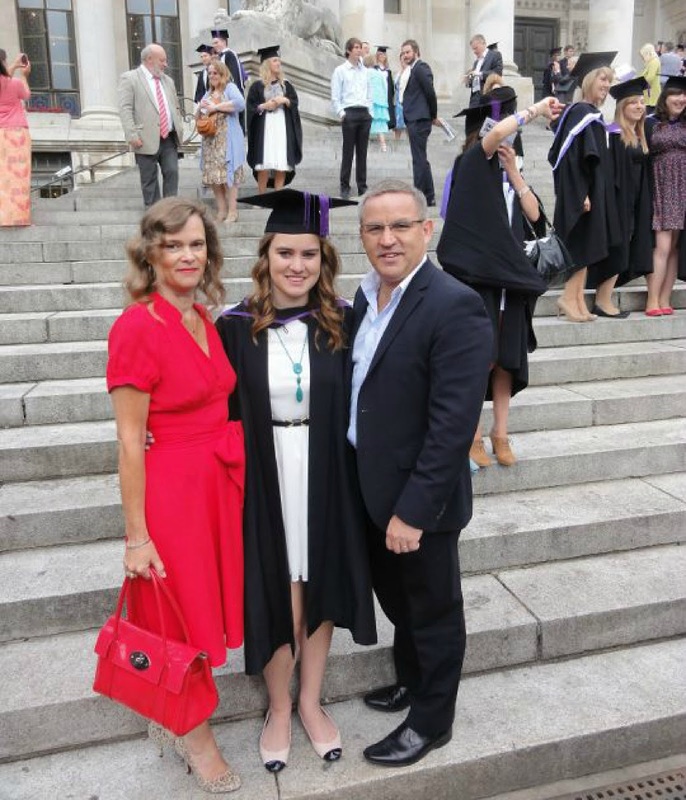 So there we go, I limped across the stage and voila - I'm a graduate! Technically I should have BA (Hons) after my name on all business cards, but hey, who's picky! So here are my favourite pics of the day. There would be a picture of me and the boy, but I'm not allowed to pop him on here so sad face. Enjoy! 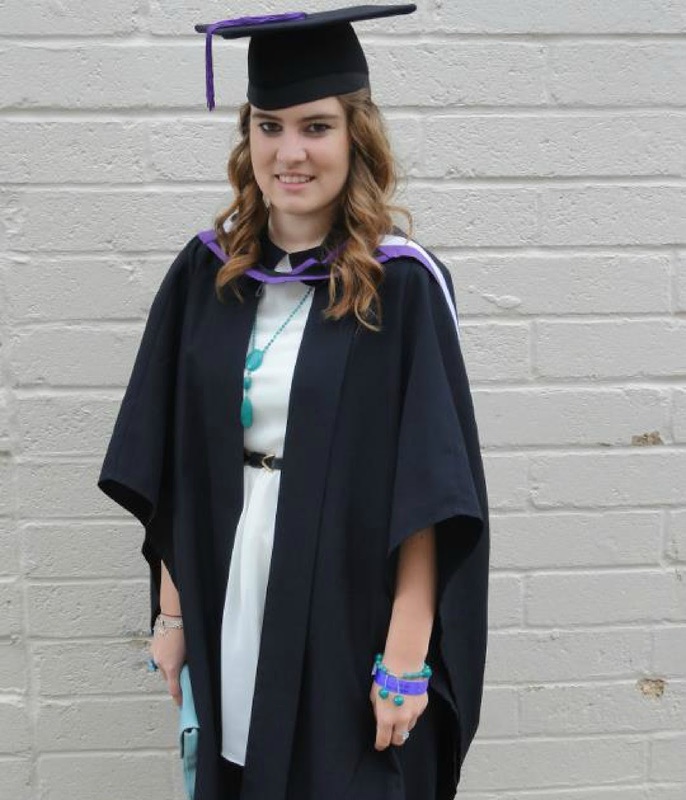 My bestest friend in the entire world, Amber, is graduating on Monday and I'm so proud of her! She's had a bit of a hard time lately but she has powered through and come out with a great degree. No one deserves it more! 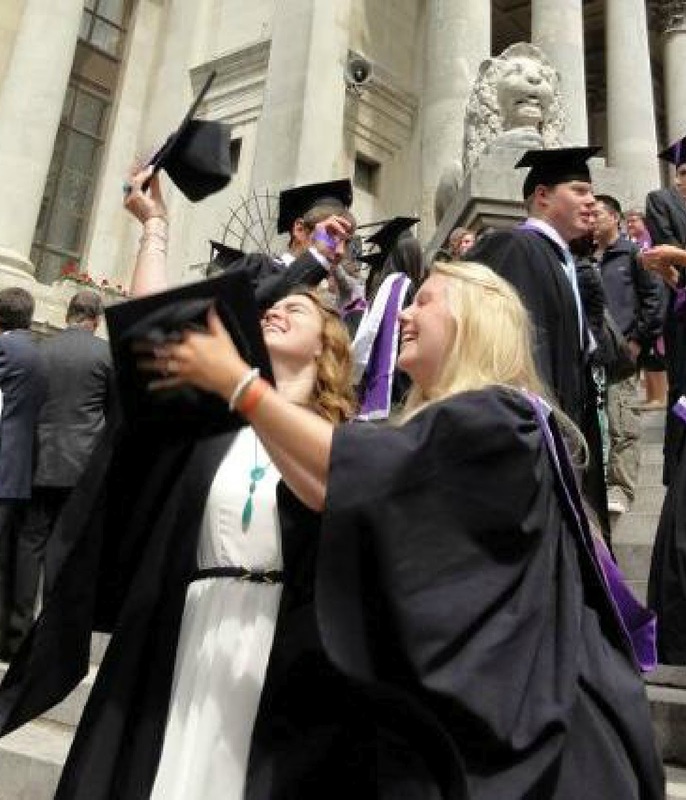 For everyone else who is going through their graduations at the moment - enjoy your day! You'll never have another like it, make the most of it and spend it with those that supported you the most, in my case my parents and the boy.